The Aspen Foundation focuses on identifying and supporting organisations that are delivering programs that aim to significantly reduce or eradicate key illnesses in the Australian community. We partner with these organisations to leverage our combined capabilities and resources. These resources are not limited to funding but also include the expertise and time of the Aspen Medical team. Take Heart is a strategic communications initiative designed to lift the lid on Rheumatic Heart Disease (RHD). Today, thousands of indigenous Australian children are at risk of contracting Acute Rheumatic Fever (ARF) from a common sore throat (Strep Throat) or from the transmission of Strep A bacterium through infectious skin sore (scabies). If these vulnerable children are not quickly identified as being symptomatic (with fever or joint pain) and treated with penicillin, their body’s autoimmune response may start mistakenly attacking their heart valves in an attempt to rid the body of its fever. Repeated exposure to ARF leads to life-threatening RHD which ends with expensive and traumatic open heart surgery as well as a dramatically increased risk of permanent disability, stroke, heart failure and premature death. By partnering with Take Heart and supporting the Take Heart Project, the Aspen Foundation is helping to bring awareness of ARF and RHD to health workers and Indigenous communities. The Take Heart Project is a series of films about RHD for television, DVD screenings in top-end communities, smart phone/ tablet Apps for use in schools, public service announcements and elsewhere. Take Heart will provide a more memorable and effective way of communicating the story of RHD then anything that currently exists. This improved understanding of the disease and how it can be prevented seeks to both reduce the incidence of RHD in Australia and also apply pressure to governments to invest more in the prevention of the disease. Take Heart reveals the incredible true-life stories of young people living with RHD, their families and health workers caring for them. The stakes are high for these kids, RHD is life-threatening and they must comply to strict medication schedules to stay alive. Regular health checks, restricted activities and frequent hospital admissions are commonplace and they rely on the support of their family, friends and community health workers to keep them on track. This is not easy as most young people living with RHD are from poor, disadvantaged and often remote communities. Perhaps this situation is made worse knowing that RHD is 100% preventable. To view the official teaser click here. In 2014 we partnered with Malpa to deliver their Young Doctors Program in specific Indigenous communities. Young Doctors is a health leadership program that trains children to be health ambassadors in their communities. It is designed and run by local Elders, respected community members and supported by Health Workers in each location. The program teaches leadership, hygiene, health literacy, nutrition and environmental health. Through this training, the young people grow with knowledge and wisdom and become valued members of their community. Young Doctors is based on a successful model implemented by the World Health Organisation in Tibet, India, Indonesia and Egypt. In 2013, Malpa trained sixty nine Young Doctors and this year about 400 Young Doctors have been trained in NSW, Victoria and the Northern Territory. We are committed to funding two 10-week courses each with 15 Young Doctors. 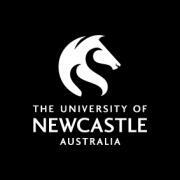 Our partnership with the University of Newcastle established a scholarship program in 2018 to support Indigenous students in completing a degree in Nursing or Social Work. In addition to financial aid, successful students will have access to support from the Aspen Foundation. The scholarship provides a benefit of $5,000 each year for up to 3 years of study in the program, with a total value of $15,000. This is paid as two lump sums of $2,500 after semester one and semester two census dates in each year. For more information about this scholarship click here. In 2012 we partnered with an Indigenous hygiene education program called Take Pride. The Take Pride Program based in Cairns is a not-for-profit program that promotes good personal hygiene amongst children in selected Indigenous communities in North Queensland and Torres Strait Islands with the assistance of community-focussed sporting teams. It is the charitable endeavour of the Northern Pride Rugby League Club. We partnered with Take Pride to allow them to develop and deliver the Take Pride in Personal Hygiene project which enhanced the awareness of effective hand washing and generally promoted how to achieve good personal hygiene. The project predominantly targeted Indigenous children in rural and remote schools and youth organisations in the communities of North Queensland. In 2013 Take Pride was successful in receiving a generous research grant to guarantee its sustainability. In 2009 the Aspen Foundation partnered with the University of Melbourne’s Indigenous Eye Health Unit led by Professor Hugh Taylor and the Christian Blind Mission, to eradicate trachoma in the Indigenous population. Trachoma is the number one preventable cause of blindness. It is a waterborne disease that is similar to a severe case of conjunctivitis. Trachoma is highly infectious and is mainly spread in places that have poor sanitation and lack clean water. If untreated, this condition leads to the formation of irreversible corneal opacities and blindness. Trachoma was eradicated in all developed countries in the 1920s except for Australia where it is still prevalent in remote Indigenous communities in Western Australia and the Northern Territory. Australia is the only developed nation where people can still go blind because of trachoma. By partnering with the Indigenous Eye Unit and the Christian Blind Mission, Aspen Medical and the Aspen Foundation are working towards achieving the World Health Organisation’s goal of eliminating trachoma by 2020. One of the primary healthcare strategies used is called S.A.F.E. (Surgery, Antibiotics, Facial Cleanliness and Environmental Changes). We decided to focus on F (Facial Cleanliness) and E (Environmental Changes) and began funding educational resources for clinics, schools and communities across the Northern Territory in the form of The Trachoma Story Kit. 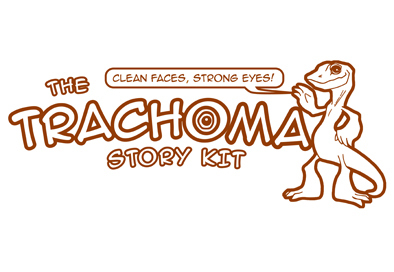 The Trachoma Story Kit is a toolkit of materials to aid health promotion and communication on the way to improve eye health and eliminate trachoma. It combines the best current trachoma clinical education with new culturally specific, engaging health promotion resources for use by Aboriginal Health Workers, clinical staff, Elders and teachers and is being used by trachoma elimination programs in remote Indigenous communities across the Northern Territory and Western Australia. We have supported this project along with private donors, the Harold Mitchell Foundation, the Ian Potter Foundation, the CBM Australia and the Cybec Foundation. In May 2014 the University of Melbourne Indigenous Eye Health Unit launched two free clinical online training modules on eye health – Trachoma and Eye Health and Diabetes. The modules were developed in conjunction with the Christian Blind Mission and Aspen Medical’s subsidiary, Remote Area Health Corps (RAHC), and funded by the Aspen Foundation together with CBM Australia. The two free clinical online training modules have been accessed by over 330 Health Professionals since their launch. In 2012 the Aspen Foundation partnered with One Disease to assist them in their mission to eradicate crusted scabies and scabies across Indigenous communities in East Arnhem Land. Scabies is a highly contagious skin infection spread by direct skin-to-skin contact and caused by burrowing scabies mites. Seven out of 10 Indigenous children in East Arnhem Land suffer from scabies at least once before their first birthday. Whilst scabies is easily treatable, if left untreated it may contribute to secondary infections that can lead to heart valve damage and kidney disease. Crusted scabies is the most severe form of the disease. It carries a terrible social stigma and infected people can be shunned as modern day lepers within their community. We provide funding to One Disease to support the Healthy Skin Program in Gove, Northern Territory. “Amongst children living in households with crusted scabies, the average number of days spent in hospital has decreased from 16 to 2 per child per year (compared with the previous 3 years). This is an 88% reduction which has improved the overall quality of life of the child as well as their mental well-being.” - One Disease program update for June-Nov 2013. In August 2014, Remote Area Health Corps (RAHC), a subsidiary of Aspen Medical, launched a free clinical online training module on Scabies – Managing Scabies and Crusted Scabies. The module was developed in conjunction with One Disease and the Centre for Disease Control (CDC).